Many people want a change, and most people wish they could start all over with a whole new beginning. The good news is . . . you can! But this is only possible through Jesus Christ. He alone makes all things new, and when you become a new creation in Christ, He will make all things new for you. This is the ultimate makeover! However it is only the beginning. Once you become a new creation, you are able to walk in newness of life because of your new Life Source—Jesus Christ the Lord! New life is available to you in Christ. You start all over again with a truly new beginning. God’s mercies are new every morning; He is the God of second chances. He offers forgiveness and restoration to all who will seek Him with their whole heart. First, receive Christ into your life, and then trust Christ with your life. 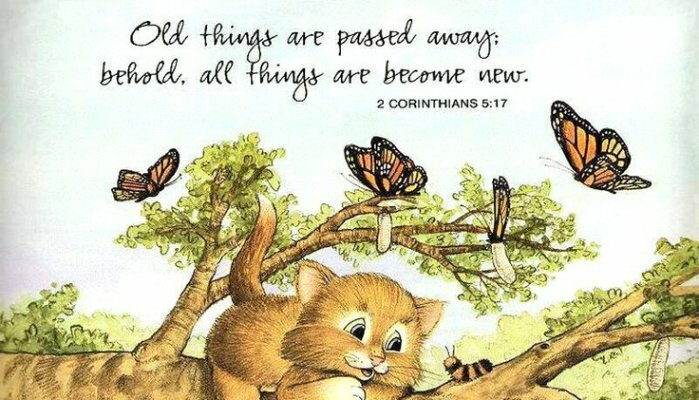 A new beginning as a new you with a new life is yours for the taking through Christ and Christ alone! But you must take it by faith. Faith is simply receiving the abundance of God¹s grace that is available to you in Christ. Then, trust Christ to impart His grace to you by living His grace-filled life through you. Start the year off right by receiving God’s mercy and grace so that you can enjoy your new life in Christ! As you rely upon His Spirit to enable you, He will empower you to walk in newness of life. Then you will experience the new life that is your heritage as a new creation in Christ. Praise God for new beginnings!!! 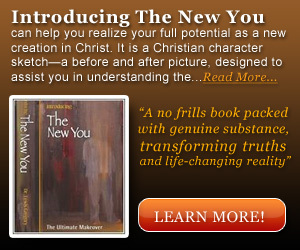 DISCOVER NEW LIFE IN CHRIST, and the secret of walking in newness of life: The New You.